My novels Eolyn, High Maga, and Daughter of Aithne tell the story of a woman struggling to define her own path in a world largely ruled by men. In the first novel, we meet Eolyn as a girl with a remarkable but forbidden gift. Fleeing the soldiers of the Mage King, young Eolyn takes refuge deep in the South Woods. When she meets the mysterious Akmael, destined to assume the throne of this violent kingdom, she embarks on a path of adventure, love, betrayal, and war. Bound by magic, driven apart by destiny, Eolyn and the Mage King confront each other in an epic struggle that will determine the fate of a millennial tradition of magic. The second book, High Maga, begins about four years after Eolyn ends. Early in the story, Eolyn’s fledgling coven is destroyed and the kingdom invaded by an army that commands a terrible and malevolent magic. Eolyn discovers a weapon that could unravel their power, and must find a way to deliver this weapon to her king. This is a darker novel than the first, deeply entrenched in the brutal realities of war. And Eolyn is older, more mature and capable of taking on greater and ever more complex challenges. 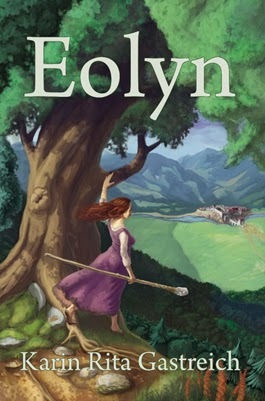 The artwork for Eolyn and High Maga illustrates very nicely the evolution of Eolyn’s story and character between these two novels. I’ve had the privilege of working with wonderful artists in both cases: Jesse Smolover, who did the cover art for Eolyn, and Thomas Vandenberg, who is putting the final touches on the cover art for High Maga. Jesse’s image of Eolyn captures her innocence and nascent power as she steps out of a sheltered life in the South Woods with the hope of restoring women’s magic to the life and culture of her people. 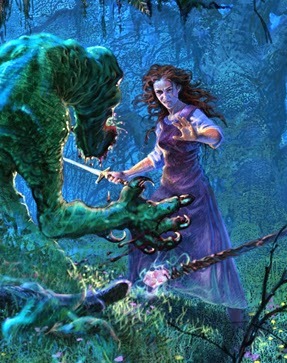 Thomas’ illustration for High Maga shows us Eolyn in battle, a vivid image of a determined woman who has already suffered loss and sacrifice, yet who refuses to surrender in the face of danger. I have loved Eolyn in all her stages of development. It’s such a privilege to work with a complex character for whom every new experience becomes an opportunity for growth and change, and it’s really delightful to see these changes reflected in the artwork for my novels. My third novel, Daughter of Aithne, is in the works so I can’t talk a whole lot about it, but I know that when we see the face of Eolyn for this final book in the series, it will be reimagined once more to reflect the growing years of her experience and the changing context of her world. 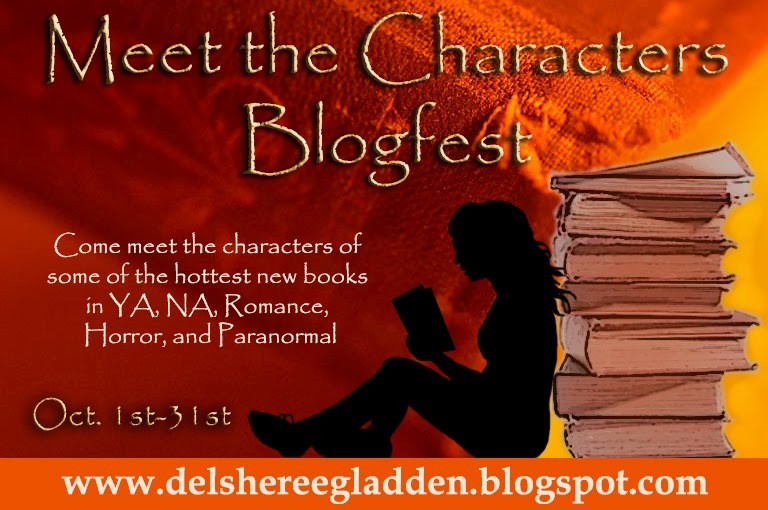 And don’t forget to enter the Meet the Characters Giveaway! Thanks for hosting me today, DelSheree! Wow! I've seen the Eolyn cover but never the artwork for the second . It's perfect. I really love the new artwork! can't wait to see the final product!